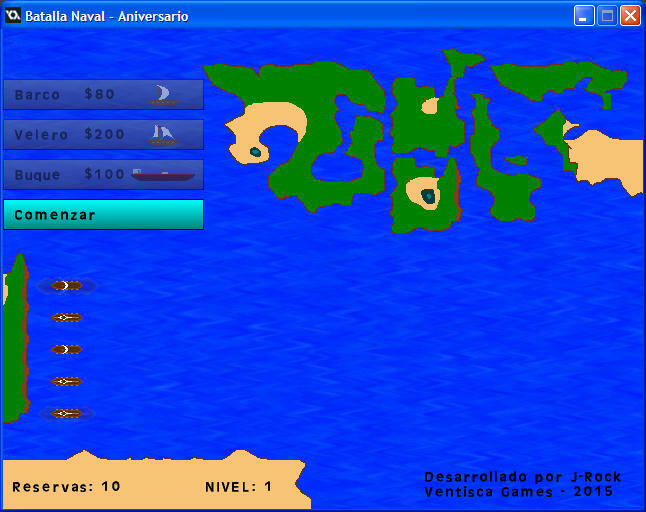 Batalla Naval is a strategy game where you have to lead a group of boats to defend your country, there are 5 difficulty levels and a special boss, the game has been adapted to show menus and messages in english. This version has been remade to add features and fix bugs that weren't covered at the package. EN and ES languages available. The game has been set to play in fullscreen. This game features an auto-save mode. QUICK KEY is enabled for this game. if you find any bugs, please make sure to notify me. Edited by Leafen, 09 April 2015 - 05:40 AM. The game has been updated with more sounds and a character. EDIT: It looked so easy when you were doing this over skype xD I see now it's difficult! Edited by Barvix, 12 April 2015 - 10:37 PM.